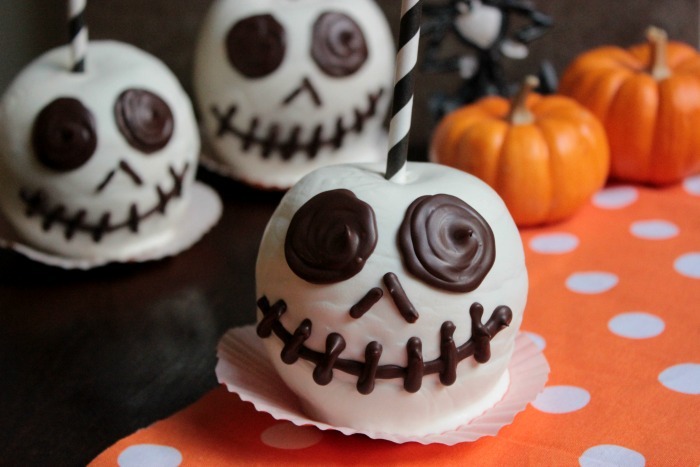 The Pumpkin King is ready for Halloween with these Jack Skellington Chocolate Apples! These are just like the ones they make at Disney! It’s no secret that this time of year is my favorite! I know you’ve seen the Halloween posts around here lately and last year I even shared some of my “Witch Themed” decorations at the house! 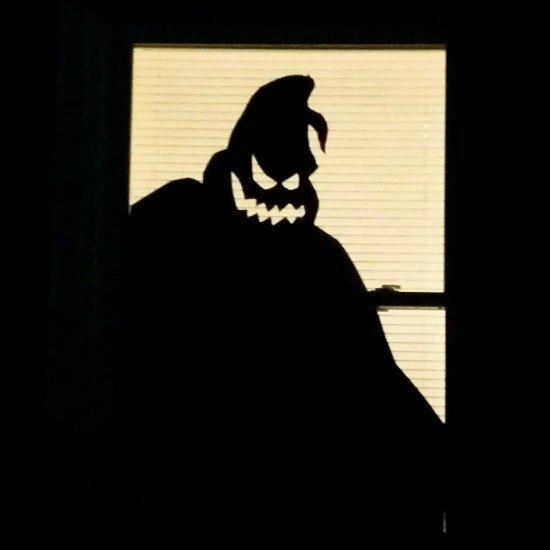 This year I did things a little differently and decided that I wanted to do a “Nightmare Before Christmas” theme at the house for Halloween! 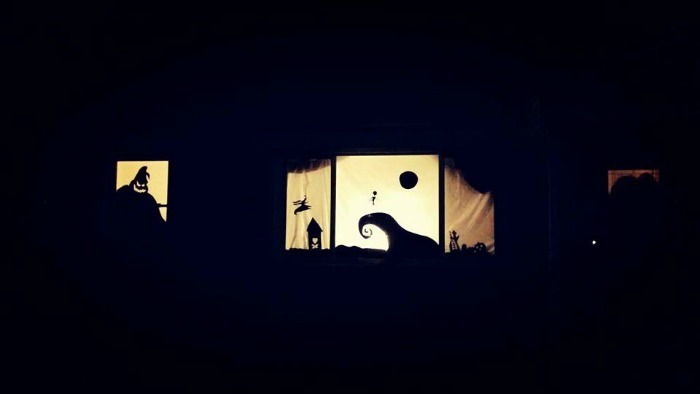 If you don’t know about the Nightmare Before Christmas you are totally missing out! It’s just awesome and it’s pretty much my favorite movie! 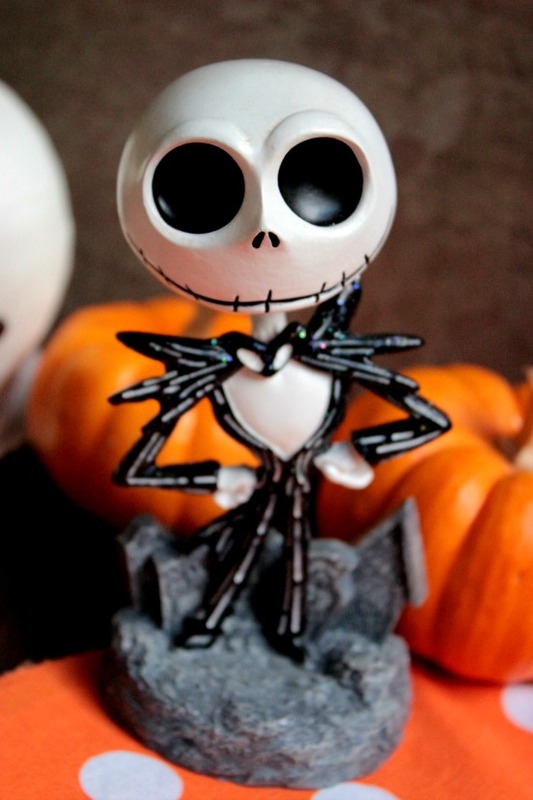 I just can’t get enough of Jack Skellington and his spooky friends from Halloween town! 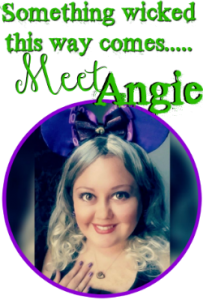 What did I do this year for Halloween? 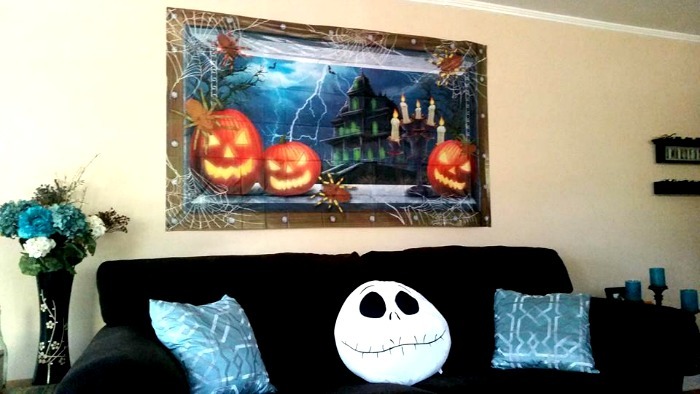 I put up this huge pumpkin and haunted house “window” in the living room and put out my huge Jack Skellington pillow that Megs got me! 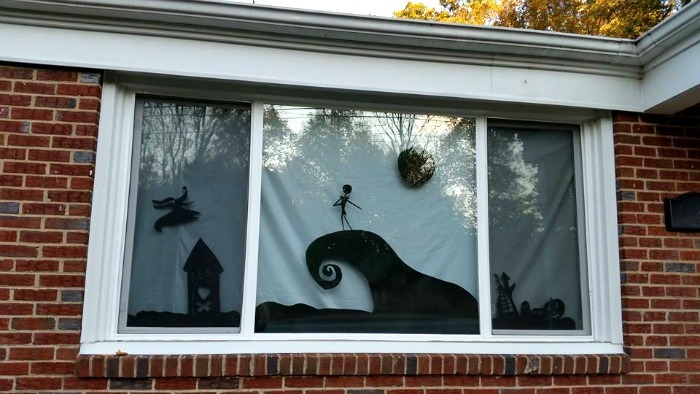 Then I made a Nightmare Before Christmas window scene for our huge picture window! 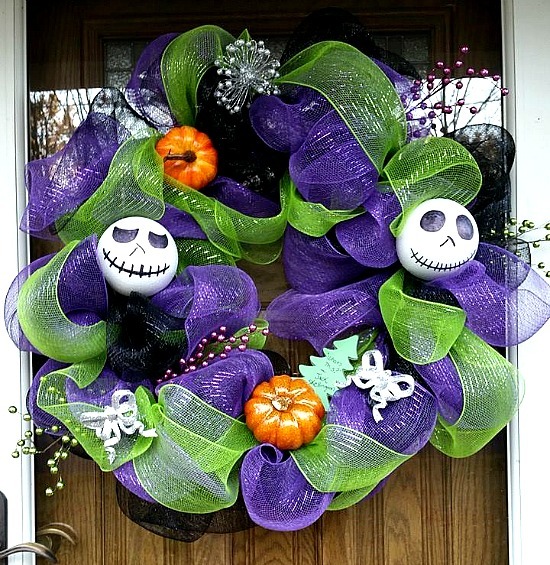 I also made a Nightmare Before Christmas wreath for the front door. I’m thinking about giving the wreath it’s own post and showing you all what I used to make it but I’m not sure yet. What do you think? 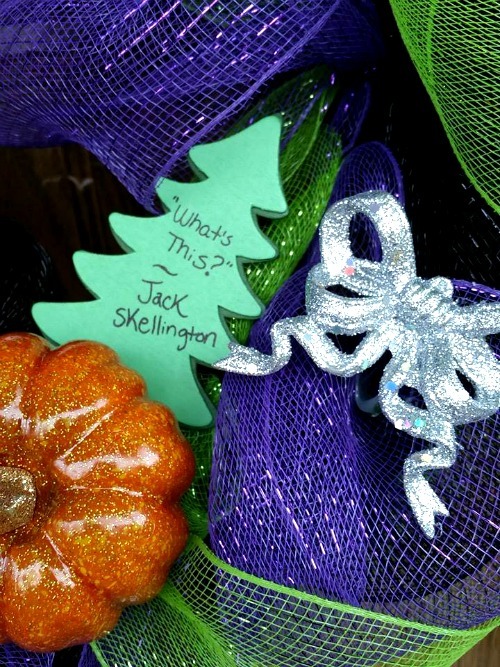 Should I make another post dedicated to the Nightmare Before Christmas deco mesh wreath that I made? I made Jack out of dura foam styrofoam type balls and just drew his face on with a black sharpie. I went with the black, green and purple color scheme for Halloween and threw in a few pumpkins for “The Pumpkin King”. 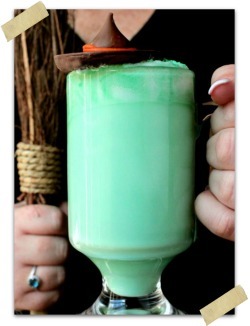 Oh and I did make some “potion” bottles from the movie as well to decorate the coffee table in the living room! 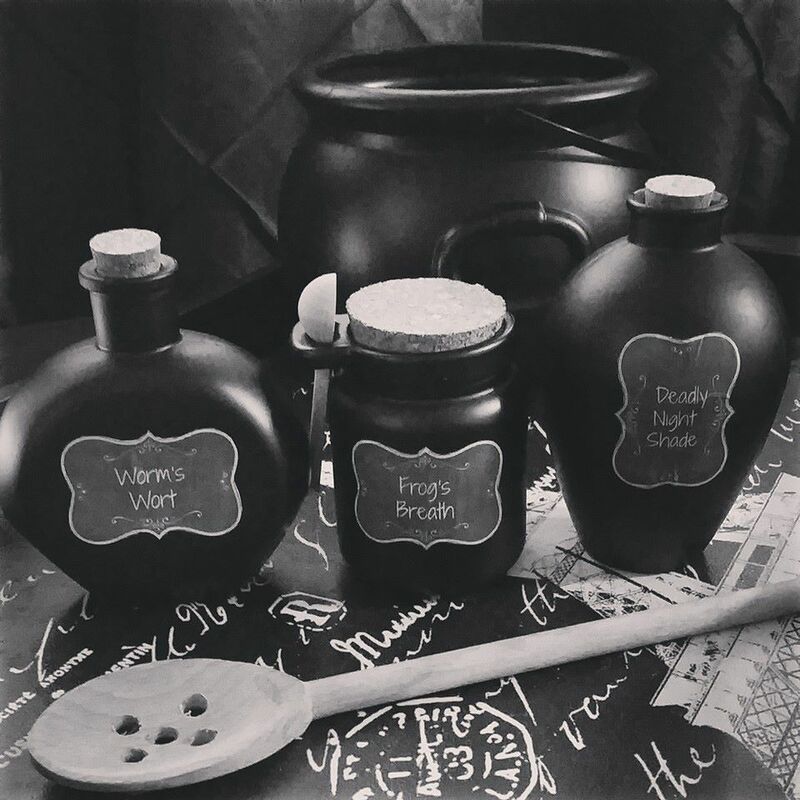 I wrote a post on how I make Sally’s potion bottles here. 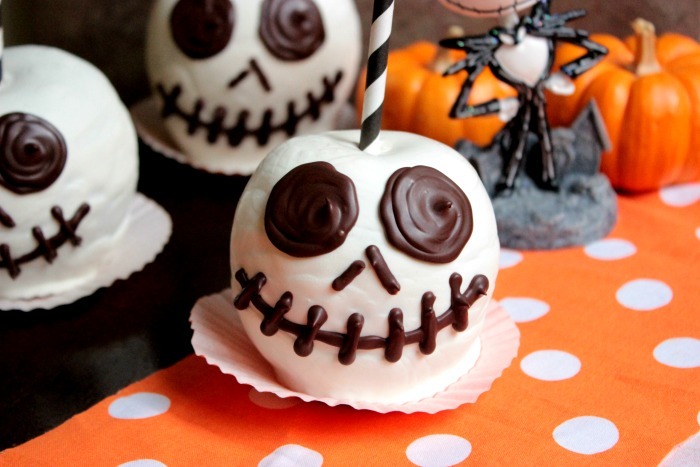 Now onto these apples! haha! 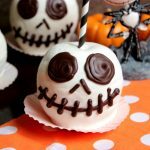 These would be perfect for your Halloween Party or if you’re not having a Halloween Party just make them! 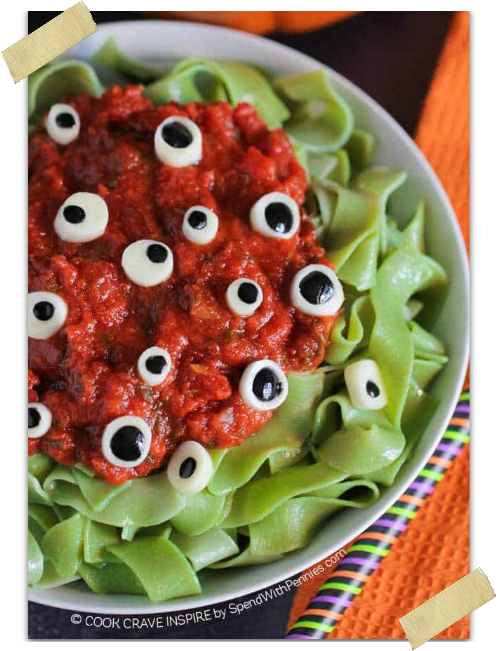 You’ll love them, your kids will love them, the kids in your life will love them… just make em. They’re awesome! 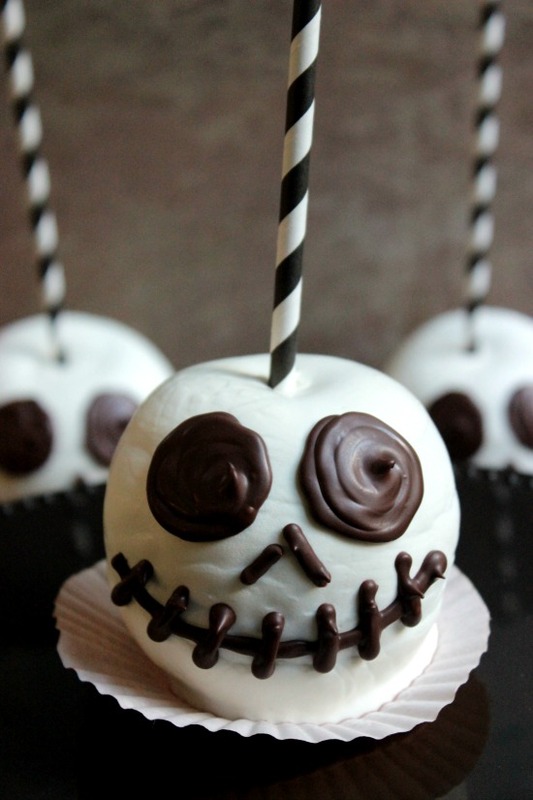 You literally dip apples into white chocolate, draw Jack’s face on with dark chocolate and let the chocolate harden! Prepare the apples by washing them and removing any wax build up that is on them. 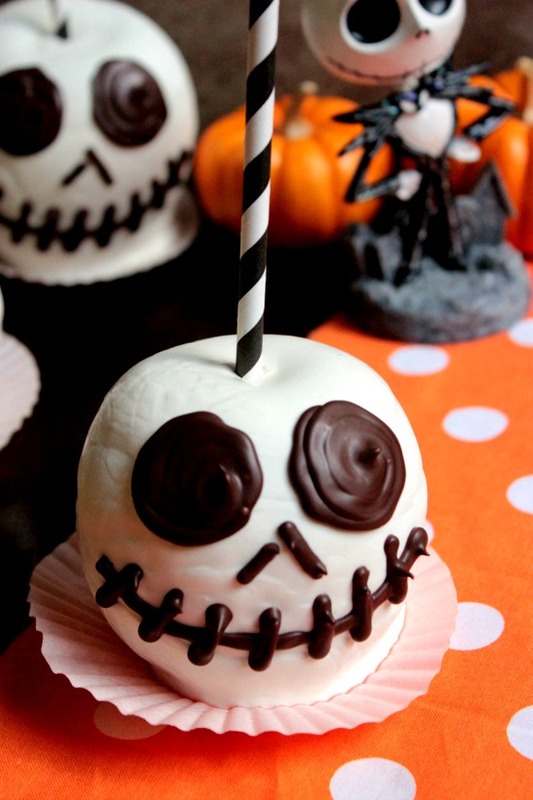 Remove stems and insert a stick into the tops/core of the apples. 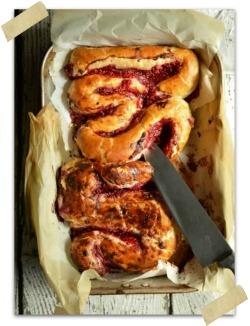 Line a baking sheet with parchment paper or buttered wax paper. Melt the white chocolate in the microwave in 30 second bursts, stirring after each trip to the microwave. 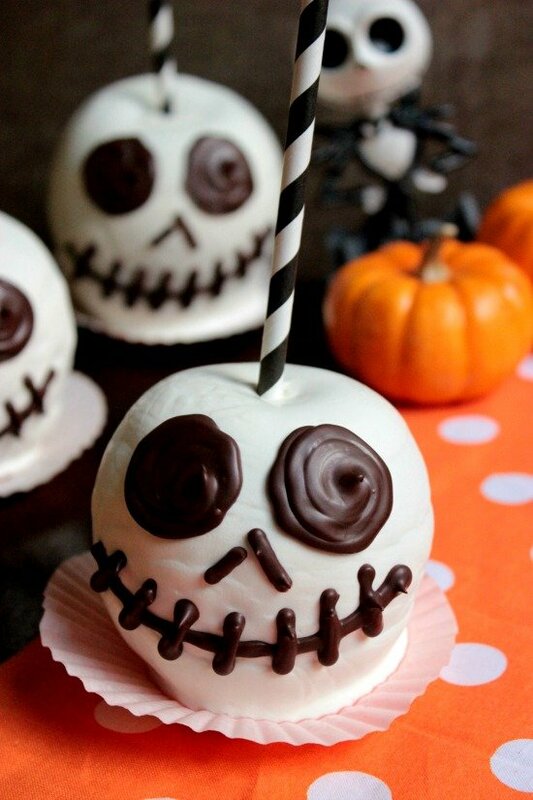 Once melted, dip the apples into the white chocolate, twirling to coat. Set them on the baking sheet and let the chocolate harden. Next melt the dark chocolate in the microwave in 30 second bursts, stirring after each trip to the microwave. 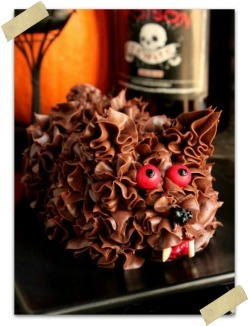 Fill a large ziplock bag (or piping bag) with the chocolate. Snip the tip and pipe on two large circles for Jack's eyes, Jack's nose and stitch mouth. Set the apples on the baking sheet and let the chocolate harden.